Microsoft Silver Light Latest Interview Questions With Answers. Microsoft Silver Light Latest Interview Questions With Answers. Tricky 17 Microsoft Silver Light Interview Questions. Latest Microsoft Silver Light Interview Questions and Answers. 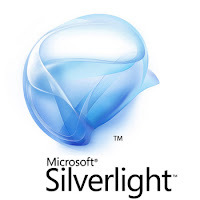 1) Explain what is Microsoft Silverlight? Micro-soft Silverlight is an open-source tool for making and deploying internet applications and media experiences on the web. 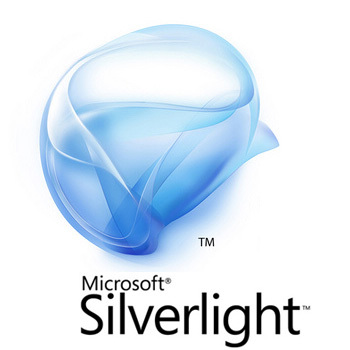 2) Mention what is Silverlight architecture is made of? 3) What you must require in order to run Silverlight applications on a web server? To run a Silverlight application on a web server, you require to append the extension .XAP with the MIME type application/X-Silverlight in the server supported file types configuration. 4) What Silverlight is composed of? 5) Explain what is .xap file? 6) Mention what does the Silverlight Plug-in comprised of? 7) List out the tools required to build Silverlight applications? 8) List out the new features in Silverlight 5? 9) Mention what are NET application supported in Silverlight? (advanced audio coding) audio or flash video? No, Silverlight does not support MPEG4 and H.264 videos. However, contents from many of these formats can be converted into formats that are supported by Silverlight like automated server function, and then inserted into a Silverlight based application. 11) Mention what is the difference between WPF (Windows Presentation Foundation) and Windows Silverlight? Web browser application can be hosted on web browsers that give rich graphics features for web applications. 12) Explain how you can pass parameters to silver light controls from ASP.NET pages? You can pass parameters from you aspx pages and HTML pages to the Silverlight controls by setting InitParameters. The Xaml page user control has a property known as InitParameters. From your ASPX pages, you can set a value in the form of key value pairs. Since this property accepts key-value pairs, you can pass any set of string values. 13) Explain how Silverlight and ASP.NET AJAX can be used by consumers? Silverlight synchronizes with existing web applications, including ASP.NET AJAX applications. Apparently, ASP.NET AJAX and Silverlight are built as complementary technologies. In short, Silverlight and ASP.NET AJAX can communicate with any AJAX application. Also, ASP.NET AJAX can additionally be used to control Silverlight-based visualization of data or delivery of rich experiences. 14) Explain how you can check the internet connection status in Silverlight? 15) Explain what is RIA? RIA stands for rich internet applications, and they are web applications with rich features. Rich features include built in AJAX support, layouts, animations, audio, and video components. Silverlight is an example of RIA. 16) Mention what are the different layout controls available in Silverlight? 17) Mention what is the XAP mime type in Silverlight? The .XAP mime type is: application/x-Silverlight. 0 on: "Microsoft Silver Light Latest Interview Questions With Answers."